« Hop on down the Bunny Trail this Saturday to Grist Mill Farm! Give a much better gift than candy this year! These guys are just waiting to jump into your Easter Basket! 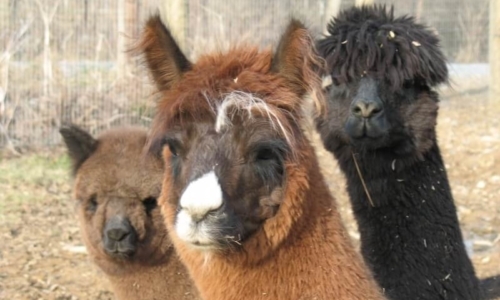 Grist Mill Farm Alpacas will be open Saturday, April 1st from 11-3 and Sunday, April 2nd from 12-4 for your shopping convenience. LAST TWO SHOPPING DAYS AT GRIST MILL FARM BEFORE EASTER! Don’t wait! These guys sell out fast! P.S. We also have a number of items at deep discount prices! Sweaters for men and women, yarn, tshirts and more! It’s never too early to pick up gifts for the adult Easter baskets or Christmas!